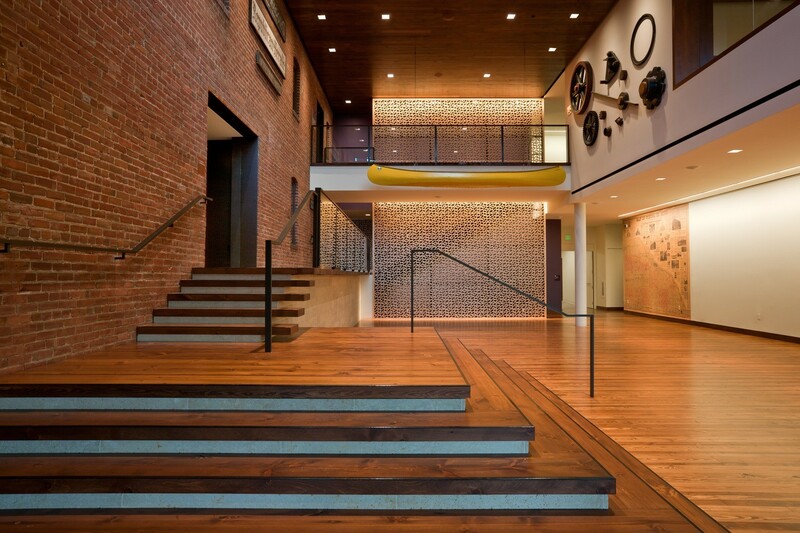 Located in Winona’s downtown historic district overlooking the Mississippi River bluffs, the Laird Norton Addition enhances the distinctive character of the Winona County History Center’s 1915 Armory while establishing a welcoming presence that beckons patrons with permanent and changing exhibits, public programming and community outreach. The three-level, 12,400-square-foot addition includes lobby and gift store, 2nd-floor multipurpose room, catering kitchen, partial Armory remodeling, and lower-level artifacts storage. 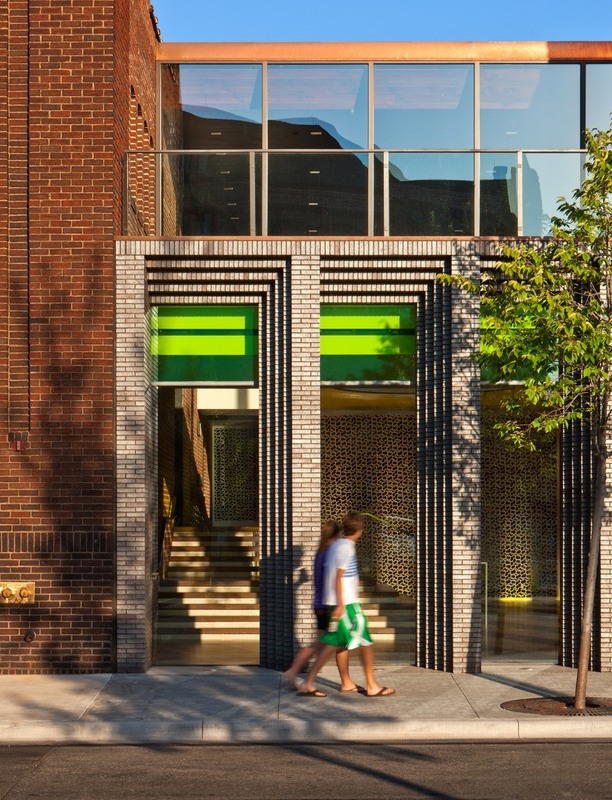 The addition’s street-level facade features a contemporary colonnade clad in a roman brick that blends with the existing Armory. The copper-clad 2nd-level multipurpose room features expansive windows and an adjacent outdoor terrace. From the terrace, visitors view the downtown streetscape and out toward the Mississippi River bluffs. 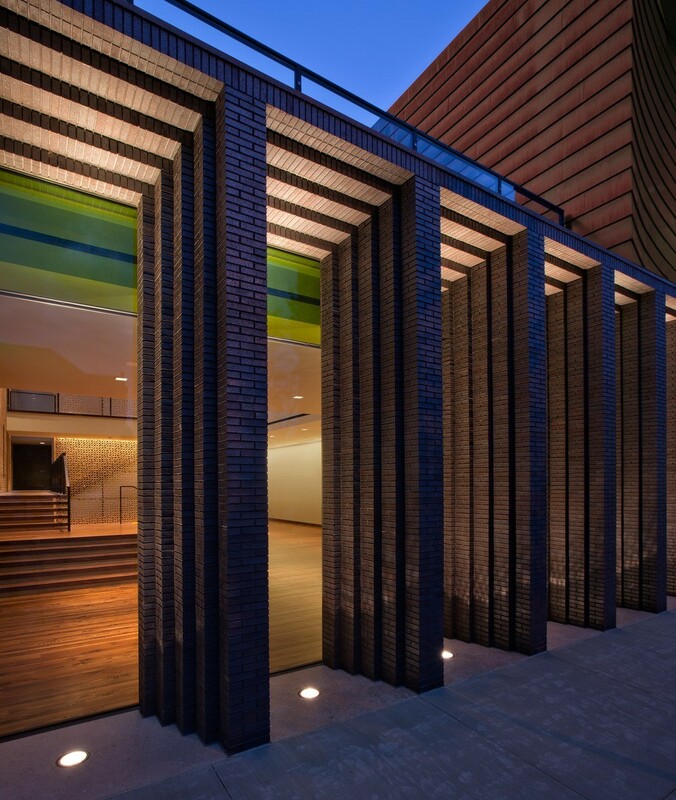 Exterior up-lighting between the corbelled brick colonnade emphasizes the façade’s rhythmic pattern. Interior spaces take advantage of natural lighting and exterior views through the full-height lobby windows and various-scaled windows on the second level. 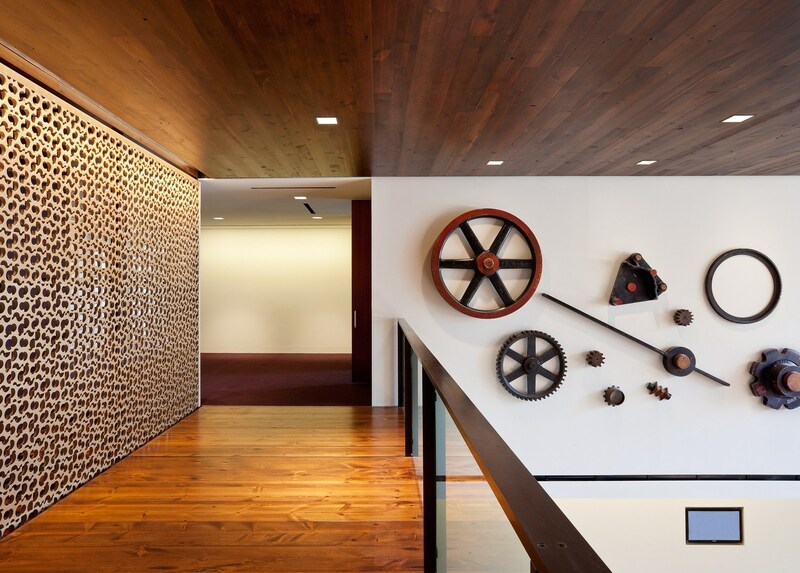 Warm accent lighting highlights a perforated wood lobby wall, which screens a staircase leading to the second level. This addition was extremely well crafted. We were seduced by the lushness of materials and attention to detail. The design successfully integrated the existing building with the new structure to create a consistent architectural expression.